Posted: Thursday 7th January 2016 in Retail Strategy, Thought Leadership. This year the promotion seemed to last a digital lifetime, with retailers rolling out promotions weeks in advance of the big day, and some choosing to extend the event past Black Friday weekend. Whose site didn’t go down last year? The technical difficulties caused by the huge increase in traffic left both consumers and retailers frustrated over Black Friday 2014. However this year the improvements were clear to see with the majority of retailers (although not all) introducing fancy online queuing systems in order to manage the flow of traffic to overloaded sites. This year there seems to be a general view that individual promotions were not as strong as in previous years. Instead, retailers opted for strong blanket promotions across a wider range of products which led to an increase in purchases overall. We can see how the the extended time period and promotional mechanic change reflected in the latest IMRG and Experian figures, which show that consumers spent £3.3bn online over the four-day Black Friday weekend. On Black Friday alone a record £1.1bn was spent online which is a huge 36% increase on the figures we saw in 2014. Amazon wasted no time in reporting its biggest-ever sales day; a staggering 6 million items were ordered on the single day of Black Friday this year. Cyber Monday also thrived online with an increase in sales of 31% year on year to achieve £968m. This year we also have two other days to consider, due to the change in promotions we saw a 9.7% increase year on year for the two days before the promotion all of which confirms this is no longer a one day hit event. Perhaps the most pertinent statistic from 2015 is that retailers saw an in-store footfall drop of 9.7% across the event, confirming the online dominance of Black Friday weekend this year. So what’s on the cards for 2016? Does the event bring incremental revenue or are retailers simply extending Christmas? 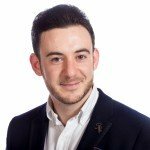 With the extended time frame and conservative promotions retailers need to look back at the 2015 Christmas trading period to understand whether they are simply providing a promotion for the savvy Christmas shoppers among us. With consumers increasingly opting for online shopping, what role do the bricks and mortar stores play next year? What proportion of consumers shopped on mobile during the cyber week in 2015 and what will the impact of growing mobile commerce be in 2016? These are all questions better answered in early 2016 when the impact of cyber week on overall trading becomes clear. 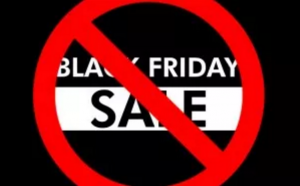 In my opinion, we can be certain that the traditional sense of Black Friday is over; gone are the days of a one day flash sale that creates such frenzy. I’d love to hear your thoughts.